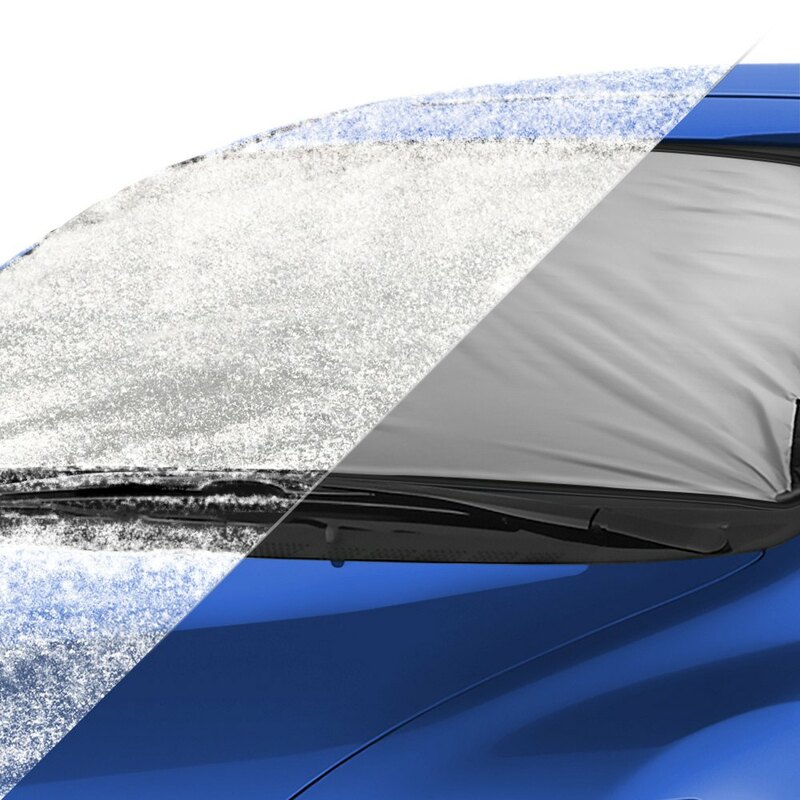 Save time on your trip by protecting your vehicle’s windshield from severe weather conditions with this windshield cover by Classic Accessories. Installing this premium product means you can say goodbye to those days when you had to spend plenty of time scraping ice, frost or show from your windshield during those frosty winter mornings. It is also your top choice to protect your interior from damaging UV rays. Simply cover your windshield with this Classic product to prevent your dashboard, upholstery from cracking and fading. Made from extremely durable weather resistant materials, this windshield cover delivers excellent performance and long-lasting service. Installing this product is an easy task since you can attach it to your automobile within several minutes with two click-close straps. This windshield comes in anti-theft design in which the straps run through the inside of the vehicle for maximum security. To provide easy storage, it easily folds into a compact attached storage case.